One of the important segments for discussing a Boxer’s grooming is Boxer dog exercise and fitness maintenance. Boxer dogs are strongly build and muscular animals who have immense energy in their bodies. They are world-wide popular for their firmness and agility. This athlete should be kept as healthy and physically fit at homes. 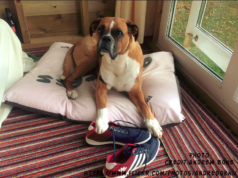 All the boxer owners should not only manage the proper balance in the diet and nutrition but also adopt moderate exercises for the well-being of their boxer dogs. 1 When your Boxer requires exercises? When your Boxer requires exercises? Well, the Boxer dog exercise trainings should be started to a boxer dog from its childhood and it should be continued for the rest of its life. It is pertinent to mention here, that lack of exercise training will lead your Boxer dog to become lazy and sick in its young age. Just passing few commands of allowing your boxer dog to enter in the room or to go out or just keep it lying in its place or going out for a few time will not complete your dog’s exercise formalities. But this will certainly damage its personality and will not allow flourishing its in-built skills. This should also be remembered that there are many differences in exercising techniques to be given to a boxer puppy and for the adult boxer. Proper timing and schedule of the boxer dog exercise is of primary importance. The extreme weather conditions are not good for this particular dog breed for exercising. These are weather sensitive dogs. Extreme heat and cold both are damaging for your boxer dog. You should take a wise decision for taking your dog out for exercise. Early morning, when heat and humidity are not higher, the time is really good for boxer’s exercise. And dusk is also good, when sunlight is vanishing lightly. A boxer owner should try for accomplishing a nice 45-60 minutes daily walk with his/her Boxer and if it is done twice a day, it is more beneficial. However for boxer puppies, they are okay with one time daily walk. Always take water for your boxer, when you are out with him/her. Also use good sun-screens when there is too much heat, on the sensitive facial and body areas, if your boxer dog is having white markings. The sunscreen or sun-blocker should be pasted all over the white boxer dogs apart from the area surrounding the nostrils. Like humans, walking is the best and first boxer dog exercise. As it is mentioned earlier, the time duration for an adult boxer and a boxer puppy is different. Walk is equally good for the natural uplifting of body movements but also for maintaining exquisite mental stimulation. 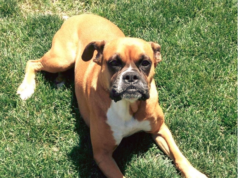 Your boxer needs not only to get outdoors and exercise but also for getting familiar with the environment and also to socialize with people and dogs outside the home. A walk in addition to potty which is usually done for a need is relatively important, in which your boxer experiences the outer world, sniffs plenty of things, observes all around and explores hundreds of situations. Boxer is an active dog, so when it is becoming gradually habitual of walk, slowly and steadily enhance the walk speed. Make him a perpetual sprint taker and then guide him for long runs as well. An adult boxer will be happy enough to be getting involved in other games and types of exercises. 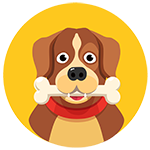 Allow him or her to play with entertaining stuff like toys, balls, tags and other fetching tricks. Growth plates are good, once your boxer is fully adult and its muscles are properly grown up. You should repeat such tricks with regular intervals and your adult boxer will be happier with playing with balls or Frisbees. Your boxer is enthusiastic and eager to go outside with you every time. But being a vigilant owner you should not take him outdoor for heavy exercise soon after it finishes up its meal. 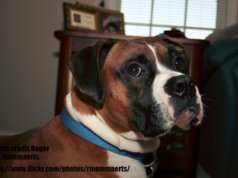 It can be unhealthy for your boxer and it can observe digestion problems. Taking it out after 30-60 minutes after the meal is always good for its health. There are numerous benefits indeed, if your boxer is a regular exercise doer and is a hardened walker. It will keep it physically and mentally fit and helps him in controlling the weight. When your boxer is in a habit of heading out on a pleasant and long walk, its body will not allow the extra calories in its body and it will remain bright and smart. Regular exercise will surely enhance your boxer’s confidence and minimize its anxiety. An active and fit boxer dog will be susceptible to lower intensity of medical problems and it will help in restraining the dangerous bacteria which may cause an infection. Regular walks and gaming exercises will help your boxer in calamitous chewing, digging, or scratching. Is the indoor Boxer dog exercise equally good? 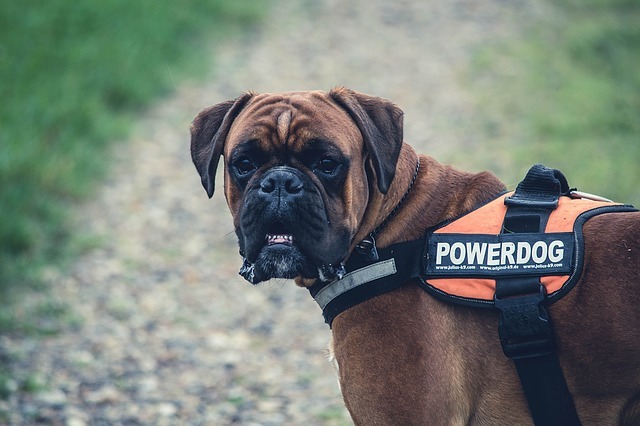 Well in some special circumstances, when it is not possible for the owner to make his or her boxer getting exercise outdoor, it can be good if it is involved in in-door activities or games. There is even some exercise equipment available in the markets like treadmills and other exercise devices particularly made for dogs. Oh yes, last but not the least, the relationship of human with its beloved beast is always strengthened, when he feels the warmth of the bond during walk times and exercises. Boxer dog exercise will improve its temperament and its behavioral skills will be refined more and more. Carry on spending quality time with your boxer and let him continue its exercising habits. It will not make him feeling loneliness and it will feel awesome in exploring new things, getting new ideas and assessing new circumstances.